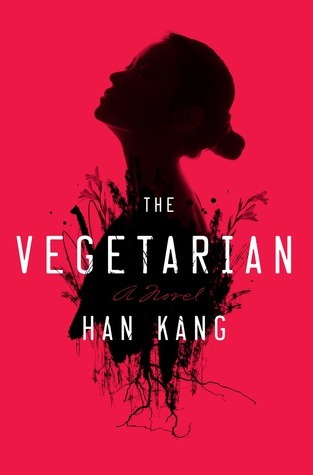 Quick Takeaway: The Vegetarian by Korean author Han Kang tells the story of Yeong-Hye, a woman who swears off meat after experiencing recurring, blood-soaked nightmares. The novel tracks her swift mental decline and describes how she is treated by South Korean society and her family. Who Should Read This? Anyone interested in mental illness, South Korean culture, or dark/absurdist scenarios. Review: I picked up this book after reading a really interesting review about it in the New York Times Book Review. I must say that this is one of the most original books that I have read in quite a while. Despite the name and the description, this book is not preachy or actually trying to convince readers not to eat meat. Rather, it is a really interesting character study about a woman’s decline into madness. This begins when she has horrifying bloody dreams and becomes obsessed with avoiding meat because she thinks this will cause the nightmares to stop. Her family has no idea how to handle her. Society has no idea how to handle her. This book is very much allegorical about South Korean society, but I found the mental illness aspects to be the most interesting. If I had to try to classify this novel, I think I would describe it as literary horror. There are many horrific elements and descriptions, but the focus is definitely the characters rather than the events surrounding the book. I found Yeong-Hye’s relationships with her sister and brother-in-law to be the most interesting. The moments with her sister were very realistic and intriguing. The moments with her brother-in-law, a photograper, were incredibly absurd in a strangely artistic way. I don’t want to give too much away, so I think I’ll just leave that there. Final Thoughts: Not everyone will like this book. It is pretty experimental and sort of falls between genres, but I was impressed by it and I think that there’s a good chance that literary horror lovers will enjoy this one.